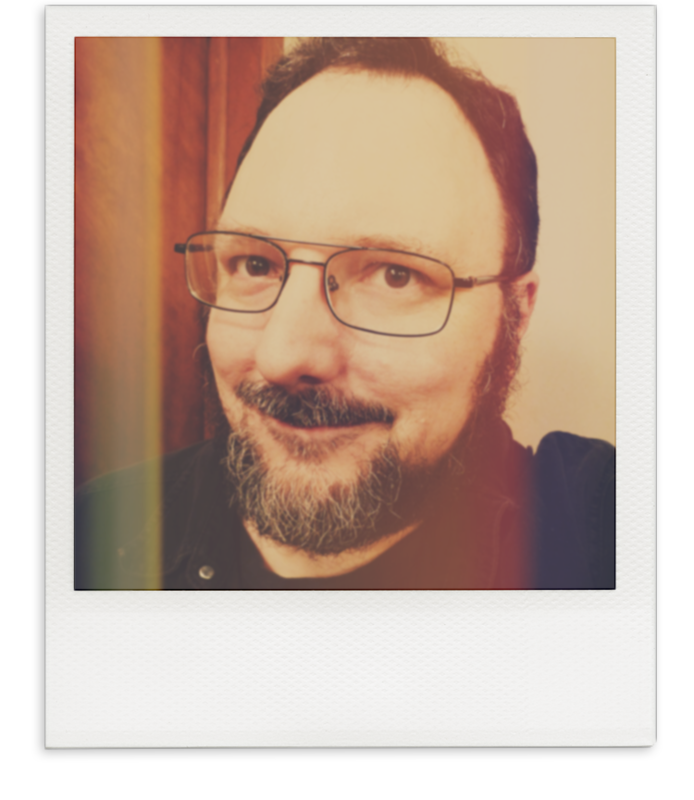 Daniel S. Duvall spends his creative time writing speculative feature film screenplays and short stories. His tale A Huff Motel Halloween appears in Robbed of Sleep Volume 4. His script The Offended Ancestor (a spooky family-friendly mystery) placed as 1 of 25 semifinalists in the 2015 Zoetrope screenwriting contest, and one of his other projects (The Marsh Wolf) placed in the top 50 of the 2015 Launch Pad Feature Competition. He dwells in his native Ohio once again (following a seven-year detour to California, where he studied screenwriting at UCLA and wrote dozens of articles for Creative Screenwriting magazine). He sat in as a guest bassist for one tune with his favorite band (Fairport Convention) on the 18th of September in 2002. He enjoys interacting with cats, swilling Irish breakfast tea at odd hours, and watching televised baseball games. He earned a bachelor’s degree in psychology back in the olden days when televisions were square and VHS was the dominant home video format. He finds existence fascinating and has never been bored. I’m a Capricorn who digs John Carpenter’s HALLOWEEN and listens to rock musicians (many British) such as Procol Harum, Jethro Tull, and The Who. My favorite song from the 1970s is Sloth by Fairport Convention. I’m often clad in denim, and I’m currently penning a speculative 15-page single-spaced proposal for a television series (5 pages of character bios, a 5-page summary of the pilot episode, and capsule summaries of episodes 2 through 8). Look for my short story A Huff Motel Halloween in Robbed of Sleep Volume 4 (now available)! What’s your favorite thing from the 1970s and why?